So the time has finally come for us to say goodbye to the country we have called home for the last 2 months and return to our normal lives back in Canada. But before we leave, we wanted to write one last post to update you on the last few days and to express how thankful we are to everyone who has supported us along the way and has made this journey possible. Ever since we learned how to make boulanger choka and roti, we have been bragging to Ms. Toney that we can cook Guyanese food. So, to show off our skills we decided to cook her a meal on Wednesday evening at the West Ruimveldt David Rose Centre. Leslie made her delicious Mango bora salad, and everyone helped to make roti with boulanger choka! It was so great to do something as a whole team for once since Joe and Alyssa have returned to Georgetown as their project is Berbice has come to a finish. We were so happy with the result of this team bonding session, and Ms. Toney gave us her stamp of approval. One last picture of the team with Ms. Toney. This morning (Thursday), we woke up rather sad, knowing that today will mark the last day of our stay in Guyana. So we tired to make the most of it. Perhaps, the most exciting part of our day was appearing on the “NTN: This Morning” television show to discuss QHO and our work in Guyana. We were all so nervous as none of us had ever been on television before. Mr. Hussein, the headmaster of R.B.I. who arranged all this, interviewed us for about 30 minutes during which we discussed topics including our work in Guyana, the history of QHO, Queen’s University, topics we feel are the most sensitive to youth, and even our favourite Guyanese foods. This was by far one of the most interesting experiences we have had in Guyana so far and we are so happy that we could get QHO this much publicity. Mr. Hussein even mentioned how he would like to dedicate one show per week to next year’s team so that they can discuss our curriculum on television. This would certainly be an excellent way for QHO Guyana to expand and venture out into new areas in order to reach out to more community members and new demographics. After the television show we all headed back to our guesthouse to finish packing. You’d be surprised how much junk one accumulates over the span of 2 months! We spent the rest of the afternoon visiting places we had wanted to visit on our last day, including the Starbroek Market, the sea wall, St. George’s Cathedral, and the Promenade Gardens. 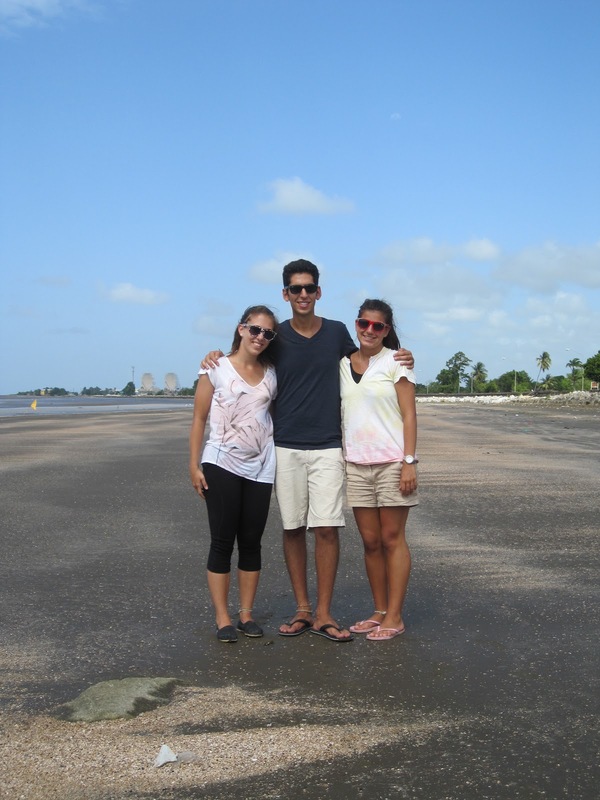 We had such a nice time walking around Georgetown one last time and appreciating the beauty of Guyana and its culture. It would be an understatement if we said that this experience has just been great. There are no words that can describe how we feel about Guyana, project, and the people we have met through our journey. It has been an absolute privilege to travel to this beautiful country, experience the culture, teach the students, but also be taught! We have always said to our students that our presence in Guyana is not a one way road. We have learnt so much from them the same way they have learnt from us. We are now returning to our country much wiser, more cultured, and more knowledgable than when we first arrived on May 6th. We would like to thank everyone who has supported us through our journey including Ms. Toney, Omeshwar Shirkisun, the staff at Rima’s Guesthouse, our families, our QHO family, and our sponsors. As Dr. Seuss has so eloquently put it, we are not crying because it is over, instead we are smiling because it happened.